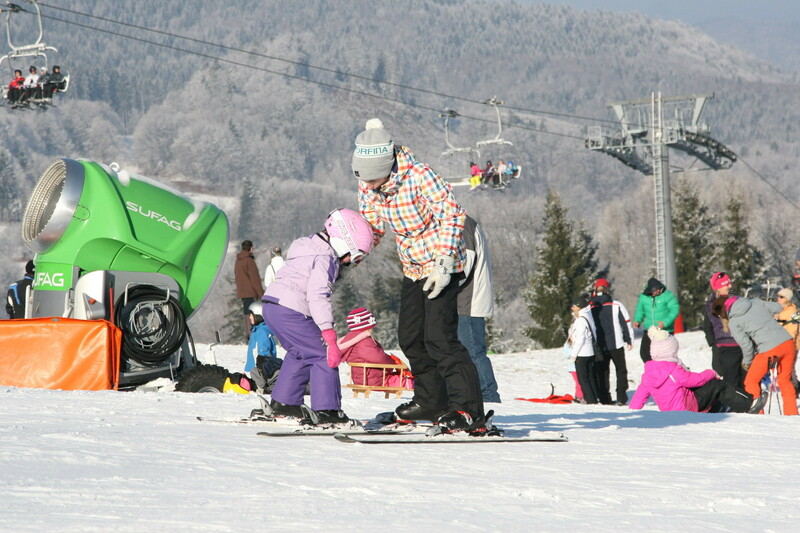 Králiky Resort is located in the beautiful scenery of Kremnické hills, 10 km from Banská Bystrica. The slopes of this resort are for beginners and less advanced skiers. The tracks are regularly maintained. There are several kilometers of cross-country trails close to this resort, and they are the gateway to Kremnické hills. The center has ski and snowboard school, rental ski and snowboard gear, ski service, buffet, restaurant, night skiing.